A beautifully curated gift set of some of our best selling items for baby. This gift set is unisex too! 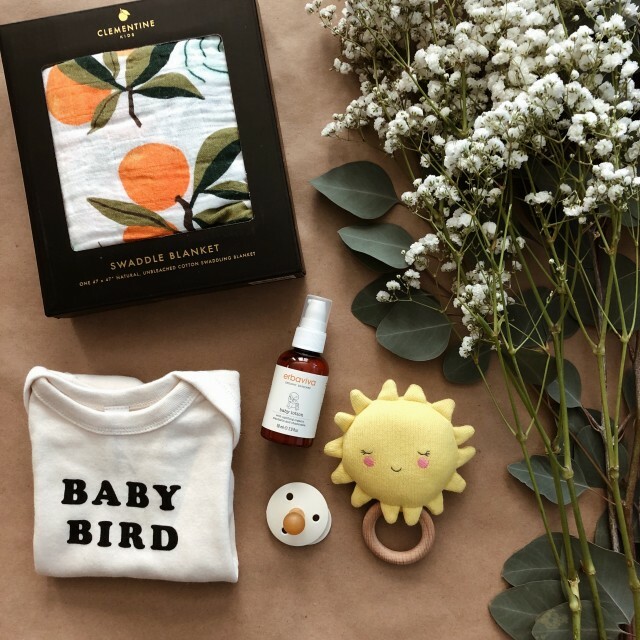 Includes: Clementine Swaddle, Baby Bird Onesie 6M, Sun Rattle, Ivory Pacifier and a Baby Body Lotion. Comes packed in a reusable canvas drawstring bag, perfect for tucking into mama or papa’s diaper bag!